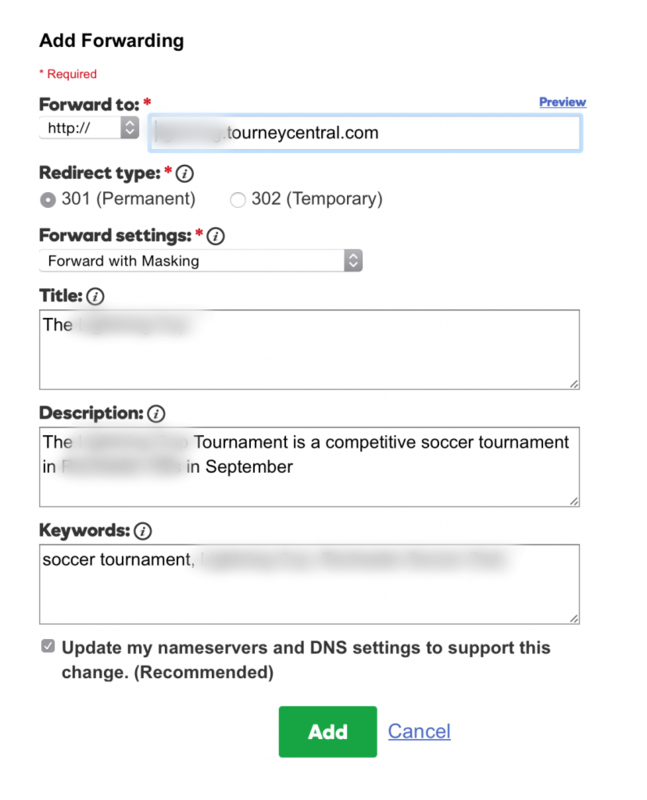 We are implementing https on all *.tourneycentral.com properties soon. In order to take advantage of that if you own your own domain name, you will need to configure your DNS slightly differently at your registrar. 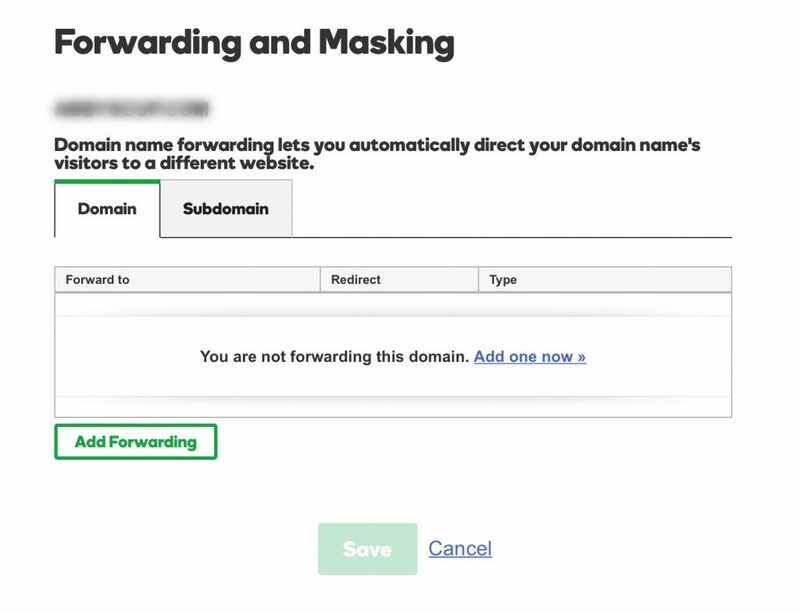 Instead of directing the web space to an IP address, you will be FORWARDING if you would like your domain to remain consistent across your website. 1. Secure the internal *.tourneycentral.com URL from TourneyCentral. Most likely, it will be the same as your temp address issued to you when you first set up your site, though it may have changed. 3. Under the DNS Tab, look for the FORWARDING link. Click that. MASKING HAS BEEN DEPRECATED BY GOOGLE AND GODADDY. It might work, but it is not recommended. 6. DOUBLE CHECK that it is correct by clicking on the Preview link at the top. 7. Save EVERY PLACE it asks you to save. It may ask you to save more than once, so read the instructions carefully. 8. The forwarding can take 24-48 hours, though most are active within an hour or less. If it has been a day and your site does not forward, empty the cache (temp files) refresh your browser or open up a different browser, like Chrome or FireFox… sometimes things get sticky and need routing out. As a last resort, you may want someone from TourneyCentral to log into your account and double check the settings for you, but most often, the registrar is your best go-to.